Patient Resources | Powell Chiropractic Clinic, Inc.
At Powell Chiropractic, our doctors and staff know the importance of regular chiropractic check-ups and adjustments, exercise, and proper nutrition. You and your family may have questions about what the best and healthiest choices are for you. This page is dedicated to help you better understand what your body needs to function optimally and stay healthy! Have further questions? Contact one of our doctors or schedule an appointment. We offer workshops at our office monthly to share what we know about natural health care so you and your family can live a happier, healthier life. Check out our events page to see what exciting things are coming at Powell Chiropractic! 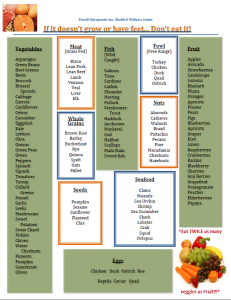 Below are links and some of the handouts we share in our office to provide helpful tips so you can improve your health and function, naturally. 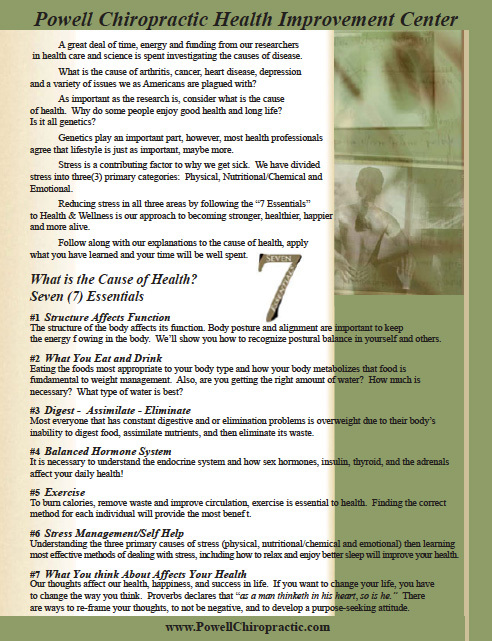 Powell Chiropractic’s 7 Essentials of Health; a guideline to healthy living! 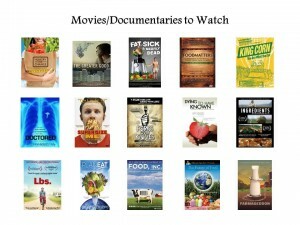 Click here for a printable list of movies & documentaries recommended by Powell Chiropractic.You may have seen clips from these while in our office! To access the Health and Wellness Department Brochure, click here.